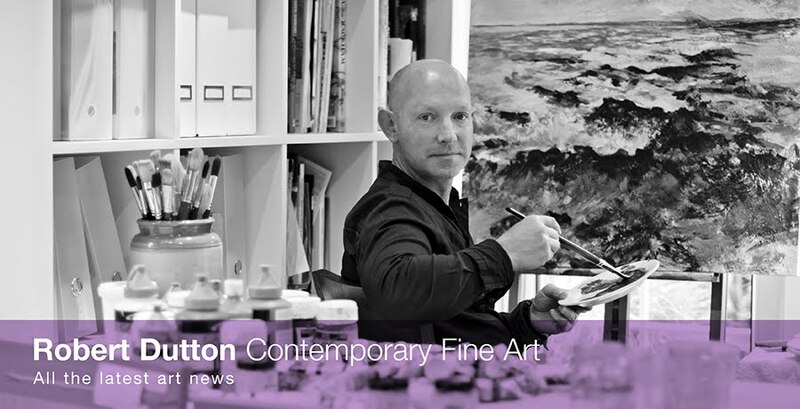 Robert Dutton Artist: A D'Ache to the art shop! 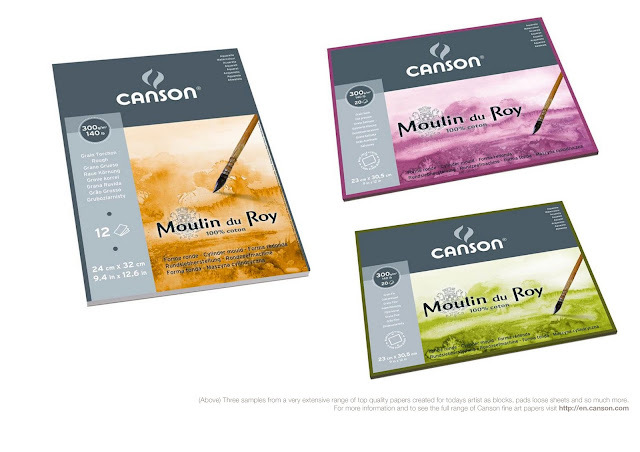 Painting mixed media techniques on watercolour paper gives you great flexibility when painting - especially if you choose a robust top quality support such as the Canson Moulin du roy unique papers to start with! The three unique surfaces of Canson Moulin du Roy 100% cotton watercolour paper (Rough, not and cold pressed), inspire great confidence when working, whatever media I choose. Teaching a regular class in Bardsey Village Hall near the lovely market town of Wetherby, West Yorkshire we are all discovering the merits of working on this superb paper on a regular basis for lots of exciting painting subjects! 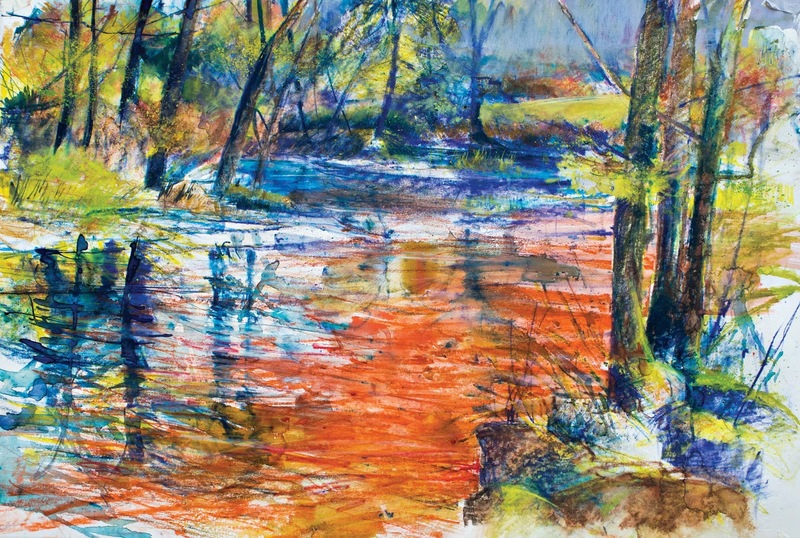 Here's one of them - a mixed media painting of one of my favourite rivers in North Yorkshire, The River Nidd seen in stages painted on Canson Moulin du Roy 300gsm (140lb) Cold pressed 100% cotton paper. Laying the foundations with Caran D'Ache Neocolor II with wet and dry painting techniques with the coloured pastels and large watercolour brushes. Further layering with Caran D'Ache Neocolor II with wet and dry painting techniques with transparent and semi transparent watercolour glazes added with watercolour and gouache. Development of the darks and profile shapes and tonal areas to give the painting strength with some acrylic inks added. Using deeper mixes of watercolour and gouache (using less water) in more opaque layers the details began to build. 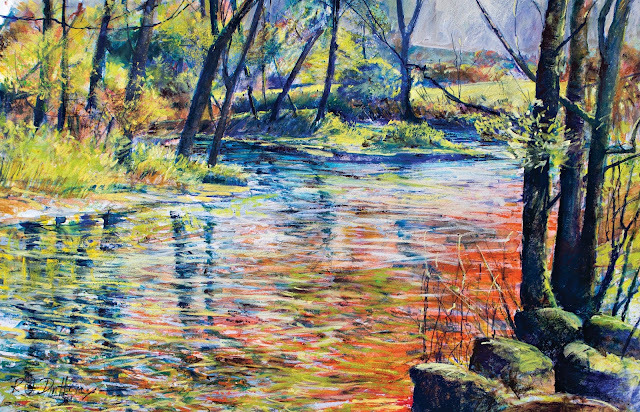 Final creative expression and subtle shifts in tone were added using Unison Colour and Sennelier soft pastels - particularly in the foliage of the trees, across the river (for the soft river vapour effects as the cool river water began to rise in the warmer morning sun) and for the deep shadows. A true mixed media painting and a joy to create! 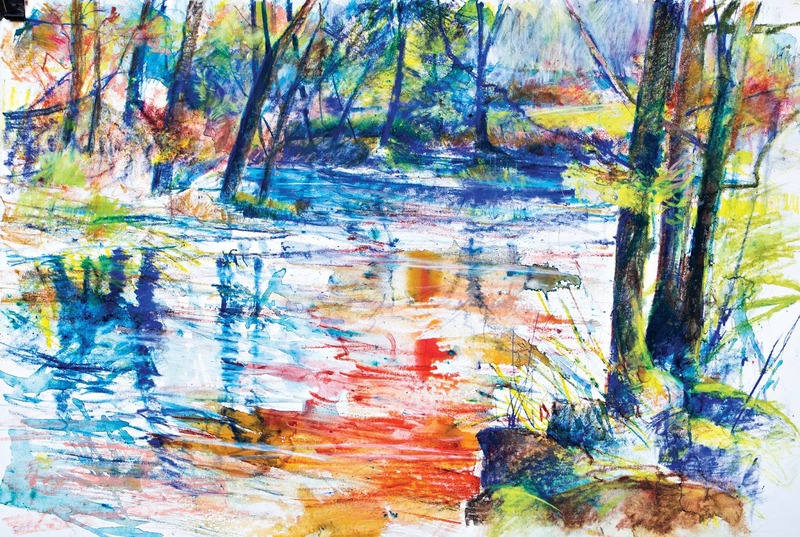 The beautiful and responsive paper surface of Moulin du Roy smooth Cold Pressed paper allowed the perfect balance between fine detail and expressive loose washes with Caran D'Ache Neocolor II to create a really atmospheric mixed media painting of early morning light dancing and reflecting from the river as it meandered through the Dale. Fabulous! Using Caran D'Ache Neocolor II water soluble wax pastels to both draw and paint with at the same time, showed through a variety of layering techniques just how quickly a foundation for a painting can be created by painting and drawing at the same time. These wonderful painting and drawing water soluble pastels are really versatile and a joy to work with. You can blend them, layer them, add them over and under different media, use them as solid colours in your palette by breaking chunks of them and dropping them into water...as so much more! Caran D'Ache Neocolor II are available from all leading art suppliers in a variety of different box sets from 10 colours to the full range of 84 available colours. Neocolor II can also be bought as single sticks as required. Just imagine - you thought of shopping and there you are - you have bought the desired products without actually going anywhere! This is the online shopping trend!